Today was one of those days where I looked forward to getting home and having a nice cup of tea. As soon as I got home I put on the kettle and got ready to make some tea. The first thing was to find the tea that I wanted. 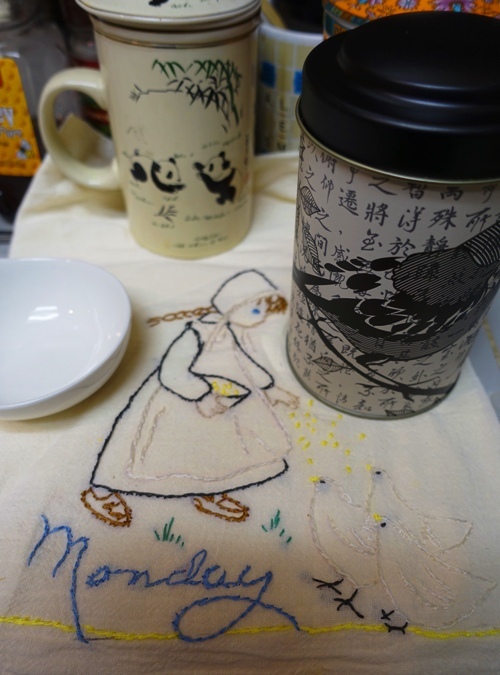 I had been thinking of High Mountain Tea, especially as I could better watch the brewing process with my new tea cup. 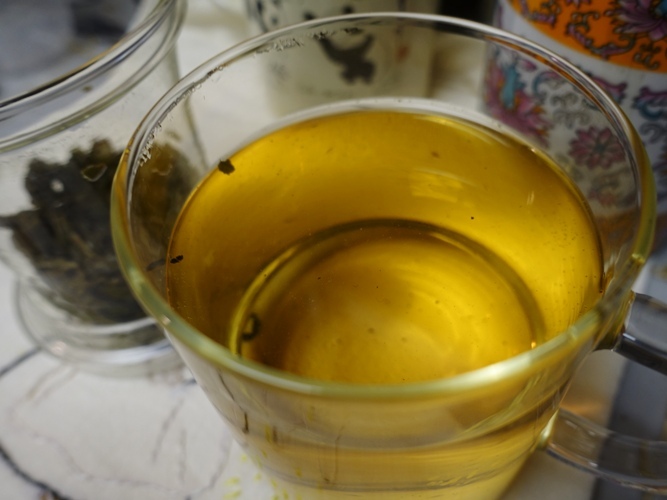 Here is a tablespoon of Yu Shan tea. 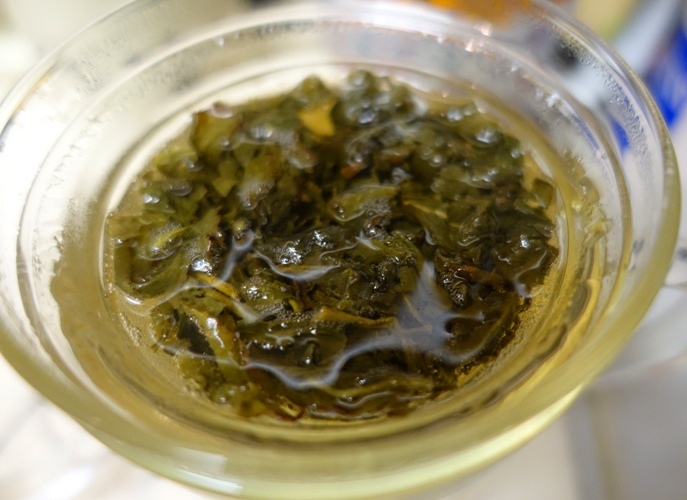 The tea is an oolong tea and comes from Jade Mountain which is the highest peak in Taiwan. 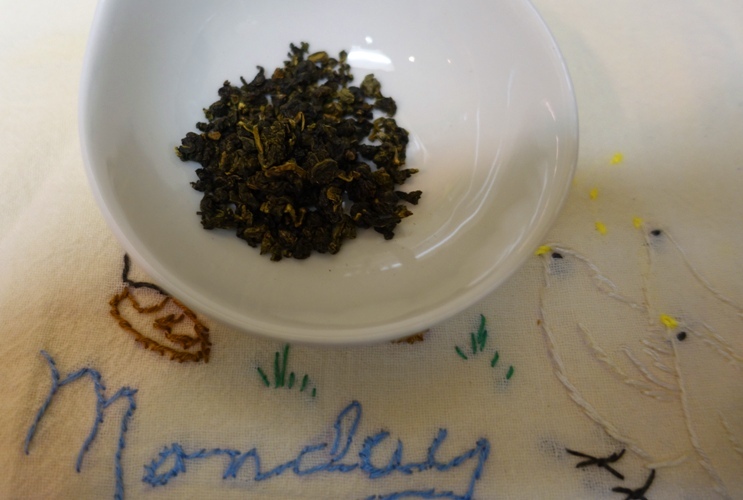 It is one of the best High Mountain teas from Taiwan and can sell for upwards of $100 a pound. Thankfully this was a gift from one of my students, but I would pay this much as the tea is really good. 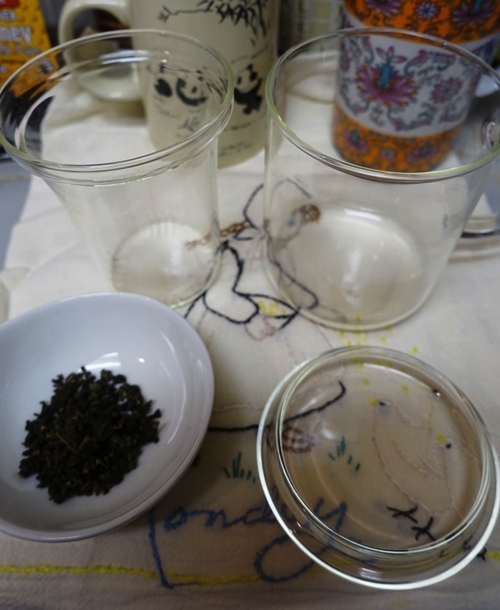 Next I set out my new tea cup with filter to get it ready for the hot water. The tea kettle was getting ready to start whistling, so I was just in time. 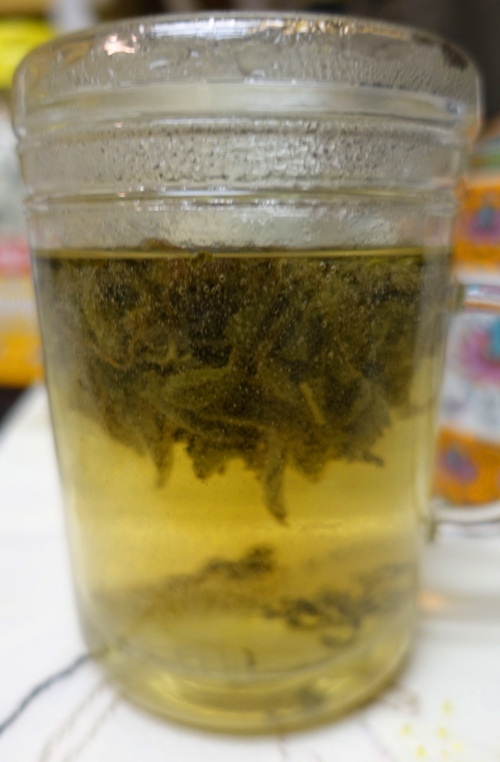 The Yu Shan tea is a full leaf tea. Here you can see the dried up leaves and that there are very few small particles. The tea is now in the filter and ready to add water. Here I have added the water into the tea filter. This is an interesting shot as the camera is focused on the rim of the cup. The rest of the cup is blurred, but this is partly because of the steam coming off of the water which has fogged up my lens. Here you can see that the leaves are opening up and releasing their goodness. 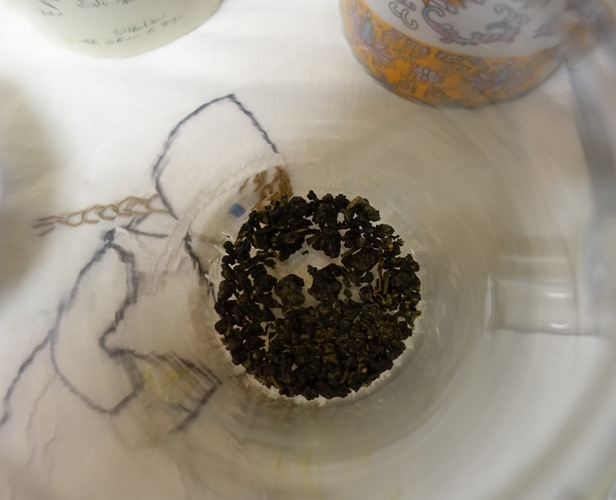 Here is a top down view of the tea leaves and you can see that they have opened up. Look at the beautiful color of this tea. The taste was really nice as always. It is hard to describe the taste, except to say that it is delicious. By far the best oolong tea that I have had. One of the nice things about full leaf tea is that you can brew multiple cups from the same leaves. I sometimes will make five or six cups before the taste starts to wane. 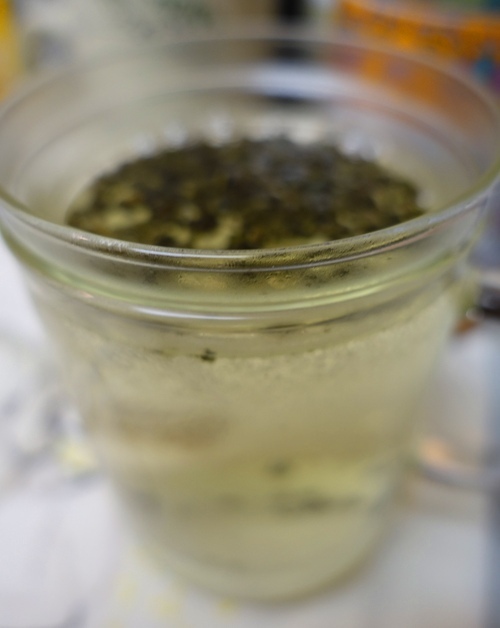 Oolong tea is good for stress, so was a very good thing to have after my day today. This entry was posted in Culture, Food and tagged Full Leaf Tea, High Mountain Tea, Jade Mountain, Oolong tea, Taiwan, Tea, Yu Shan Tea. Bookmark the permalink.